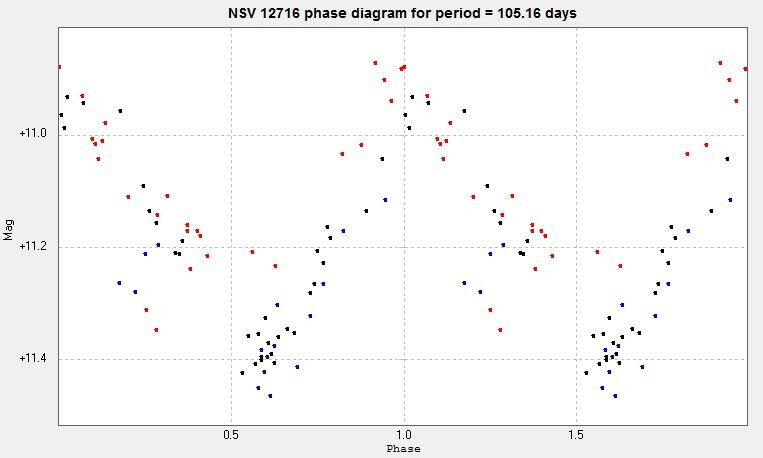 The first light curve and period estimate of NSV 12716 were obtained by Josef Kalasek, ref AAVSO VSX. It is now catalogued as an SR type variable with a period of 106 days. 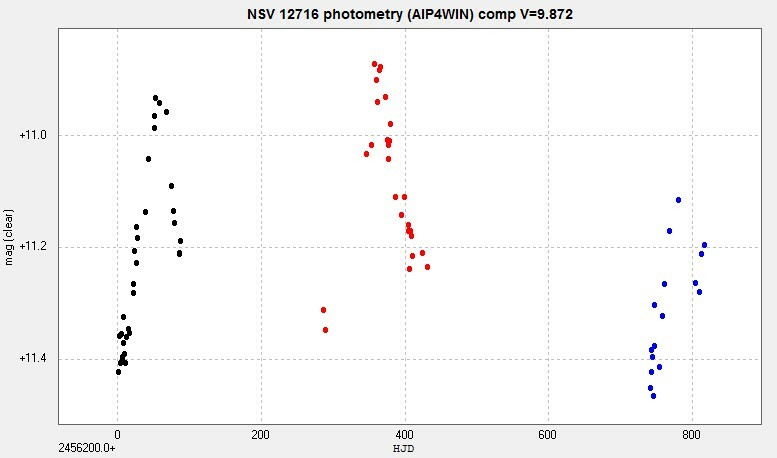 These plots are from my photometry from unfiltered images taken by the Bradford Robotic Telescope Cluster Camera, using AIP4WIN. An article about this light curve can be found here.